October usually brings a month of focus on Stewardship. I generally prefer to look at all of Stewardship and not just the financial part. I think when we participate in a full expression of Stewardship, we live out our covenant as faithful participants of the ministry of Pacific Beach United Methodist Church. When we talk about Stewardship, we mean: prayers, presence, gifts, service, and witness. Think for a moment about prayer. When do you pray? Do you have a particular place or way that feels right to pray? Do you say the same prayer every time? Do you follow a particular pattern? How do you feel before you pray? During? After? He also said to them, “Imagine that one of you has a friend and you go to that friend in the middle of the night. Imagine saying, ‘Friend, loan me three loaves of bread because a friend of mine on a journey has arrived and I have nothing to set before him.’ Imagine further that he answers from within the house, ‘Don’t bother me. The door is already locked, and my children and I are in bed. I can’t get up to give you anything.’ I assure you, even if he wouldn’t get up and help because of his friendship, he will get up and give his friend whatever he needs because of his friend’s brashness. And I tell you: Ask and you will receive. Seek and you will find. Knock and the door will be opened to you. Everyone who asks, receives. Whoever seeks, finds. To everyone who knocks, the door is opened. Join PB UMC this Sunday as we begin a conversation about Stewardship and about prayer. 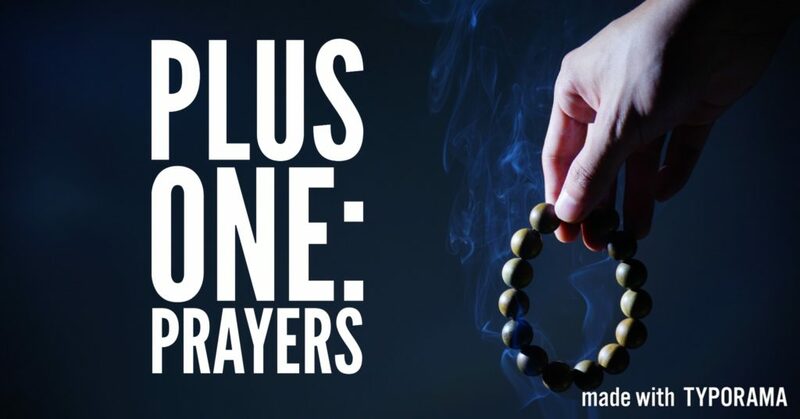 We discussed the difficulty of remembering to pray in times of tension and anxiety and finally considered this challenge: However often it is that we pray, add some prayer time. If you pray 7 days a week, consider adding one or two more times of prayer, etc. Now, a follow-up question: How has increasing your time in prayer changed your experience of the divine and of the world?